Is a Smart Thermostat Worth the Money? If there is one device that feels like a big commitment it’s a smart thermostat. They tend to be a bit more pricy than other smart home gadgets and are more complicated to setup. But with the ability to be more comfortable in your home and save a buck or two, is a smart thermostat worth the money? 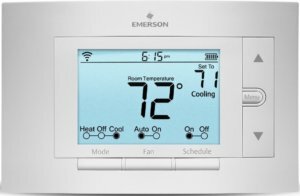 If you have a normal thermostat you have a few options to save money when the weather gets to be more extreme. With winter approaching, one option is to set the thermostat to a low temperature and just fight through the cold. We have done this before, wearing jackets and covering ourselves with large blankets. This is acceptable for camping, but not for day to day living. Another option is to switch off the heater at night so you don’t have to pay for extra heat while you are sleeping. This makes for a miserable morning getting up to a freezing house. There is no denying that trying to save money with a normal thermostat is going to be uncomfortable. A smart thermostat solves these problems by making your home comfortable while still not running the air/heat as much to save you money. Some could argue that a programmable thermostat could solve this problem. Yes it can can help by setting a schedule but it’s not that user friendly to adjust. With smart thermostats you also can adjust the temperature while you are away from your home which you can’t do on a programmable thermostat. You can also have the thermostat automatically turn off when you are leaving the house and turn on when you are heading home and near by. So for the convenience is a smart thermostat worth the money? I would say just for the convenience factor alone it might be worth it. 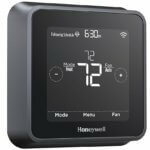 When thinking about the cost of a smart thermostat, what comes to mind first is Nest or Ecobee3, which are in the $250 dollar range. If $250 feels a bit steep to invest in a thermostat, there are ways to save. We wrote a helpful article on getting rebates for a smart thermostat. You might be able to cut off $50 to $100 on your thermostat which helps soften the blow of a new thermostat. There is also a range of very good smart thermostats around $150 dollars work really well. With that price and a possible rebate, there might be little to no cost. Here are some of the best midrange thermostats. The Lyric T5 is a new thermostat that has a lot of features for a reasonable price. It works with Amazon Alexa (voice control), Apple’s HomeKit (control with Siri), SmartThings, and IFTTT (If This Then That). It also has geofencing capabilities. This is great when you leave the house because the temperature can adjust to save money. Sensi Smart Thermostat is a great option for a very inexpensive but reliable thermostat. It doesn’t require a C-wire and it is battery powered so it’s very easy to install. It’s also compatible with Amazon Echo and the Wink app. 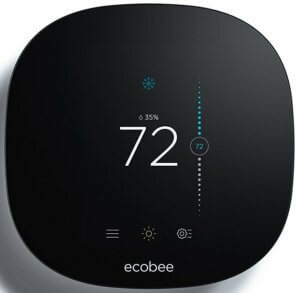 Ecobee3 Lite is also a newly available thermostat. It is very similar to the Ecobee3 but it doesn’t allow external sensors. Ecobee3 Light is compatible with Amazon Alexa, Apple HomeKit, SmartThings and IFTTT. 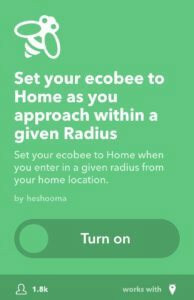 Ecobee does a good job at giving you personal energy reports to help you save more money as well. Recouping the cost of a smart thermostat is much easier when the price is around $150. If you live in a place with hash winters or summers, a smart thermostat will easily save you enough money to pay for itself. They also add value to your home if you ever plan on moving. If you would rather keep the thermostat, like if you are in an apartment, just take a picture of your old thermostat before unwiring it so it’s easy to put back when you move. 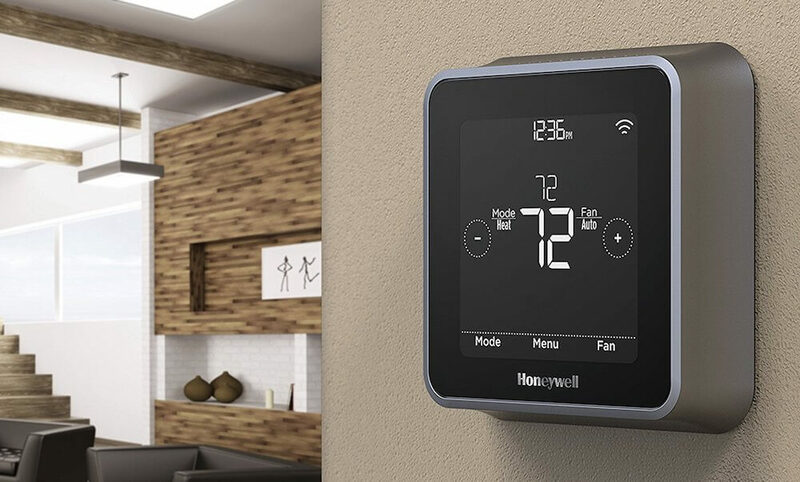 These smart thermostats look really good on the wall and with improving the level of comfort in the house while saving money I would say that they are worth it. 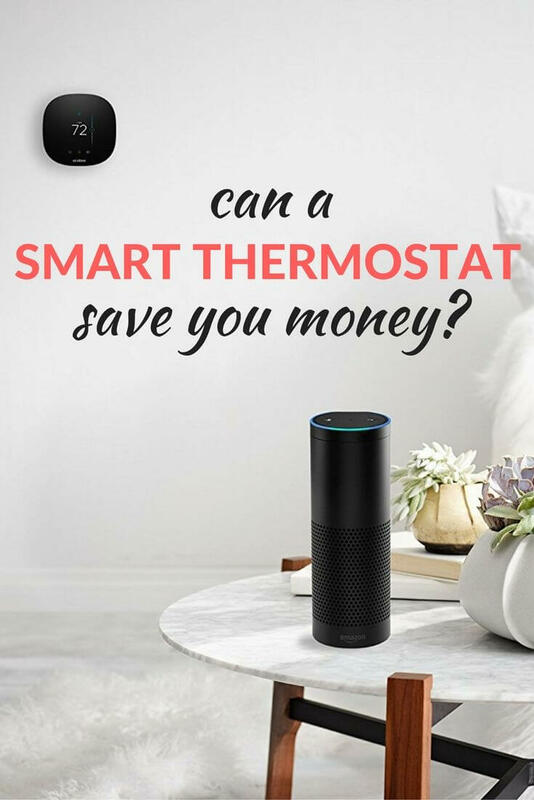 What do you think, is that a smart thermostat worth the money? Let us know in the comments below.